Determine the level of Genotype x Environment interaction (GxE) for the frequency of unfilled oat kernels. Establish whether multiple testing sites are necessary to screen for the unfilled oat kernel trait. Provide insights on environmental factors that influence this trait if environment is found to be significant. The greater understanding of the factors affecting the frequency of unfilled kernels will allow breeders to generate varieties with increased yield and grain quality. The reduction of unfilled kernels through breeding will improve test weight and will give farmers better access to milling and higher-value feed markets. The improvement of oat yield and quality will increase its profitability and will make oat more desirable to be planted in crop rotations, therefore having a positive environmental impact through increase in biodiversity associated with multi crop rotations. Oat is recognized as an excellent rotation crop, and a valuable cash crop, particularly in the cooler, northern regions of the province. 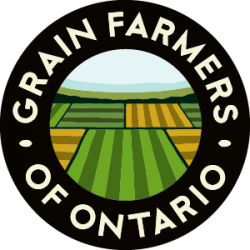 Approximately 115,000 acres were harvested in Ontario in 2015, about 5% less than spring wheat, and 5% more than barley. There are good feed markets for good quality (high test weight) oat and Quaker Oats Co. in Peterborough provides a good milling market. 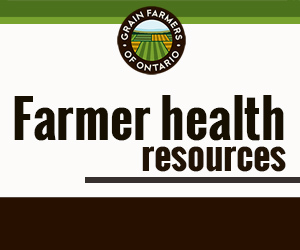 Low test weight is a major problem that limits oat production. Poor grain fill results in lower yields, limits accessibility to the higher value markets, and reduces the value of the crop. It is well known that most oat contains some unfilled kernels. This phenomenon is generally considered to be a result of plant stress, either disease or environmental, although there are no studies to confirm this. However, research at PhytoGene Resources Inc. revealed that the unfilled kernels are related to developmental problems during panicle formation rather than to stress during grain fill. An initial study in 2014 (OFIP 0039; “Selection for improved oat kernel fill”) related the mass of individual kernels with their position in the panicle (node, node-branch, position on the branch, kernel order) in several crosses, grown at a single site in eastern Ontario. Results indicate that the frequency of unfilled kernels is heritable, and given its importance to yield and quality, should be an important selection criterion. The next step – a very important one – is to evaluate the genotype x environment interaction (GxE) of this trait to determine if single-site assessment is adequate, or whether testing in different climatic zones is necessary. The project objective is to generate information that will be essential for oat breeders to select for good grain fill. One hundred breeding lines were grown at three contrasting locations, Cumberland, New Liskeard and Mimosa (near Guelph). A grain fill profile, including the frequency of unfilled kernels, is being generated for duplicate samples of each line.